Are you working on improving or changing up your classroom management this year? Don’t forget that positive feedback and positive reinforcement can work well when trying to support students . I have been using Class Dojo for about five years, and it is a terrific way to give positive reinforcement to your students. Have you tried Class Dojo? It’s a great way to reinforce positive behavior with students! After using it for years, I have found it has been extremely helpful. 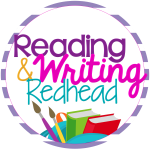 Through trial and error, I have come up with many options for giving out positive points, therefore, I have a great resource to help you and other teachers! 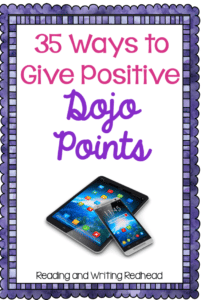 Here is a free resource with 35 ways to give positive Class Dojo points! Click here or on the image below to download the freebie. If you do download it, I’d be very grateful if you would take one minute and leave some quick feedback on Teachers Pay Teachers. Thank you!